2-piece set. 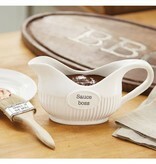 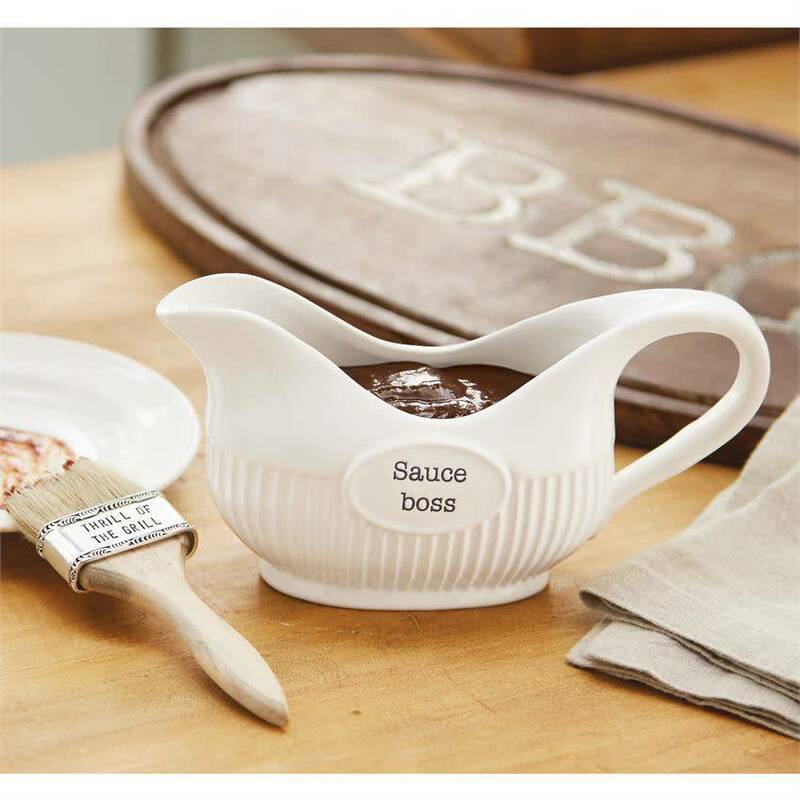 Ceramic sauce server features fluted exterior with resist "Sauce boss" sentiment and arrives with wooden basting brush with stamped "THRILL OF THE GRILL" silverplateaccent. 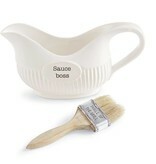 Size: server 5" x 9" | brush 6" x 2"